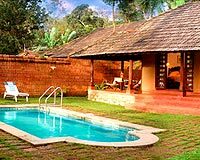 Orange County Coorg is bounded by River Cauvery and Dubare Reserve forest. 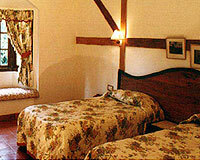 It thus offers perfect natural surroundings for a peaceful holiday. 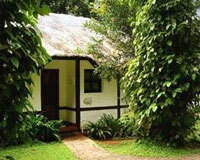 Orange County Coorg is nestled in the Western Ghats amidst 300 acres of coffee and spice plantations. 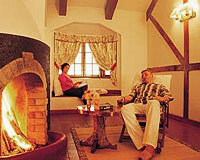 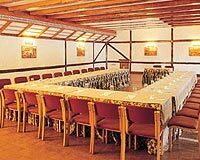 The resort is perched at a height of 800 meters above sea level and offers stunning views of the valley. 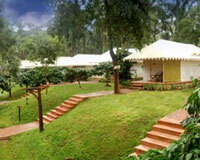 River Cauvery flanks the hotel on the one side and Dubare Reserve forest on the other side. 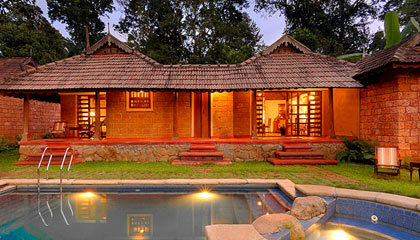 Orange County Coorg promises seclusion and tranquility and is thus a perfect place for relaxed & fun-filled holidays. 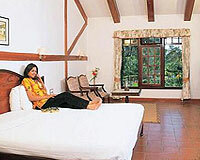 Orange County Coorg offers 43 rooms that are centrally air-conditioned and elegantly decorated and furnished. 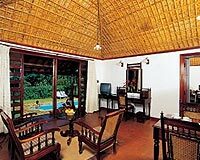 The cottages are categorized into County Cottages, Presidential Villas, King's Court Villas, Private Pool Villas and Luxury Tents. 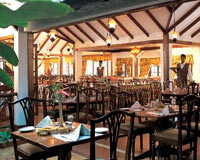 Orange County Coorg has one multi-cuisine restaurant.